Review The great green gecko-wielding distro has undergone a major update with its latest release, openSUSE 13.2. This edition comes on the heels of some major changes for how openSUSE releases are structured. While the main release, like this week's 13.2, remains unchanged, the openSUSE project has merged its two unstable, semi-rolling release channels, Factory and Tumbleweed, into a single project named Tumbleweed. Now that openSUSE 13.2 is out the door, Tumbleweed will be the release to track for those who'd like to stay on the bleeding edge. Somewhat confusingly, the name Factory is still being used to refer to pre-Tumbleweed, unstable releases that you most likely will never want to know about. It will be interesting to see how a rolling release works alongside the traditional structure, but if you like openSUSE and don't like waiting for major new updates, well, now you have options — you can have your openSUSE and eat your rolling distro too. In past reviews I've written that openSUSE has one of the nicest default KDE desktops you'll find. The good news for KDE fans is 13.2 is no exception to that rule. OpenSUSE continues to offer a great, green-tinged KDE experience. That said, not a lot has changed for KDE in this release. 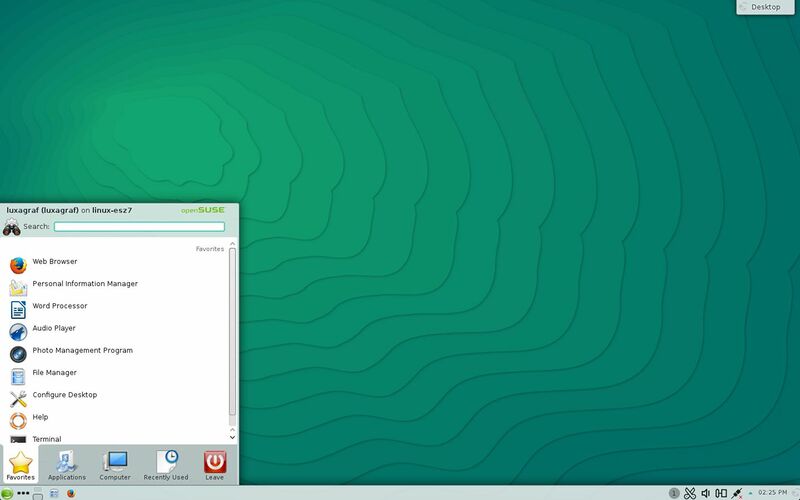 OpenSUSE 13.2 will not offer Plasma Workspace 5.1, the next-generation KDE desktop interface, which is still far too rough around the edges to get a spot in a stability-focused distro like openSUSE (but it is available in the repos if you want to test it). Instead openSUSE 13.2 is a relatively minor update for the KDE stack, adding some KDE Frameworks 5 elements, but sticking with Plasma 4.x for most. The default theme sees some small updates as well. There's much more in OpenSUSE 13.2 for GNOME users who get the new GNOME 3.14. GNOME 3.14 in openSUSE is a bit different to what you'll find in more stock GNOME distros like Fedora. For example, several of the new GNOME-created apps are not included in the default GNOME install from an openSUSE live CD. The revamped Weather app and the new Photos app are nowhere to be found. Instead openSUSE sticks with Shotwell for Photos and doesn't offer a Weather app by default. The GNOME Maps app is included though. OpenSUSE also does not use Software, which, to be fair, really only seems to work with Fedora. 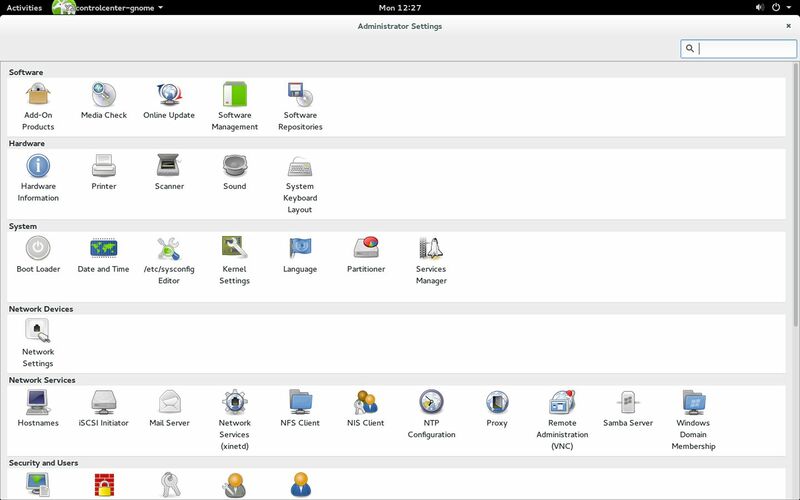 Instead, openSUSE uses its own cross-desktop YaST software manager, which looks and functions more or less the same in both GNOME and KDE — something of a rarity in software managers.